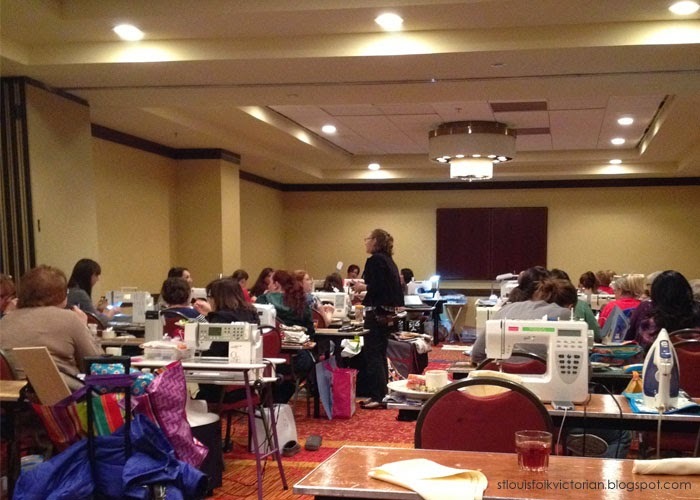 Forty-five members of the St. Louis MQG got together this past weekend for Sew Me St. Louis, the first retreat/workshop/slumber-party that our guild has held. Logo created by Juli Ann. 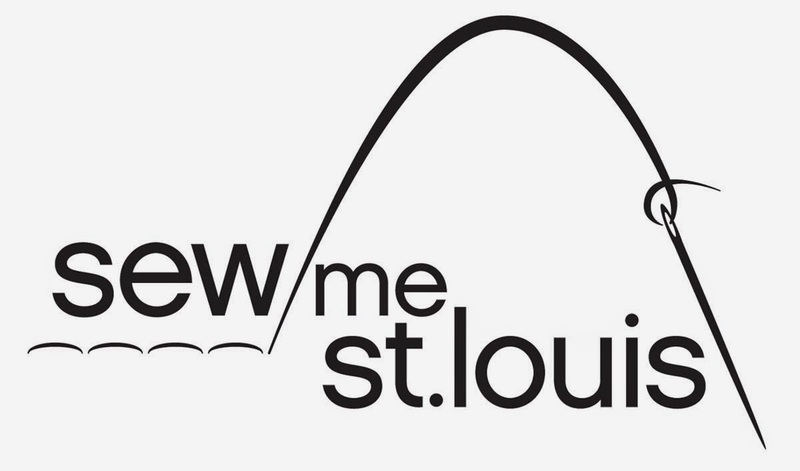 While the St. Louis MQG has been around since 2010 and held smaller sew-ins a few times a year, we had not yet attempted anything bigger...until now. The Marriott Hotel didn't really know what to make of us. 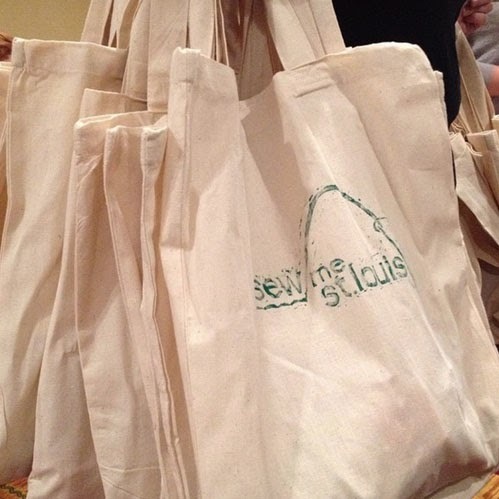 Saturday was reserved for workshops and lectures for those who signed up; while the rest of the members took to their machines in the Open Sew room. 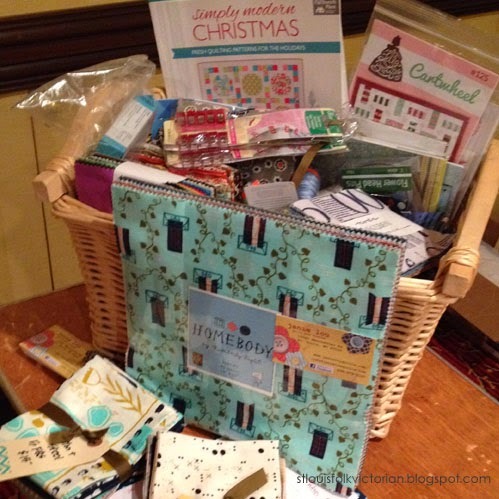 There was the usual piecing, quilting, chatting and learning; but let's not forget the goodie bags, catered lunch, and random prizes...with items donated from several generous companies and members. Goodie Bag Photo borrowed from Lynne. Goodie Bags were purchased, assembled and hand-stamped by Laura. I purchased pins and temporary tattoos for each attendee; because I really-really wanted one and thought that the others might too. Pins came from here. Temporary Tattoos from here. I am pretty excited that we were able to pull off something of this caliber and in such a short amount of time...even if there were some hiccups along the way. 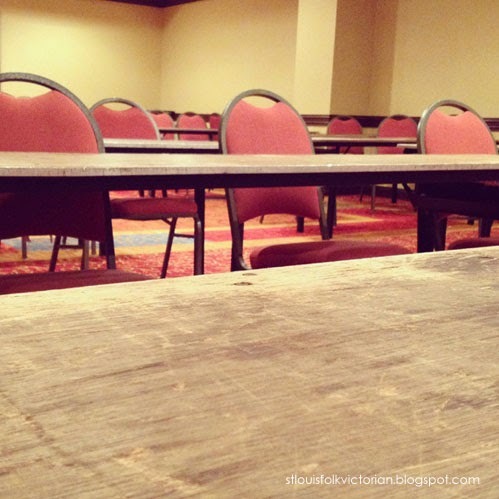 It will of course be a thing now, so planning for October 2015 will be underway soon. Want to see some of the fun we had, projects that were made, workshops and lectures? 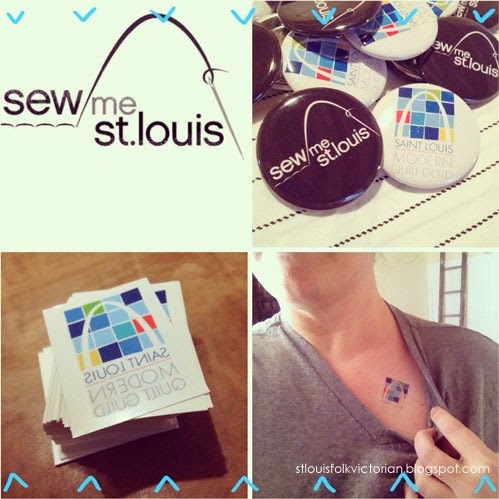 Check out the #sewmestl hashtag on Instagram. Kristy, the event was clearly a phenomenal success! I was unable to attend, but thanks to those who posted pics on IG, I followed along. It was a great success! Thanks, Kristy, to you and the STLMQG officers for all the hard work to put Sew Me St. Louis together.